Today, I want to share my top 10 must read marketing books for entrepreneurs and network marketers. These are books that I have read and have helped my business immensely. They are listed in no particular order. This is one of the first marketing books I ever read. Jay will teach you low cost, effective ways for getting more leads and more sales for your business. The whole book is designed for the small business owner who doesn’t have much of a marketing budget. It’s designed to force you to get creative with your marketing so you can get the most bang for the buck. For the entrepreneur on the shoestring budget, this is the book for you. Calling this book a masterpiece would be selling it short! Dan Kennedy has taught me more about marketing/direct marketing than any other person on the planet. This book is designed to help you learn direct marketing, which is marketing directly to your target market, and enticing them to do something specific, such as visit your website, call a toll-free number, or request some free information. Every small business owner should own a copy of this book and read it once a year. This book is about building relationships with people, so you can get more referrals. He provides a systematic plan on how to network and generate more referrals for your business. He talks about the importance of building your own networking group and provides clear instructions how to follow up with your new leads. If you want a referral based business, this is the book to read. Get Clients Now will teach you a systematic, 28-day process that provides step-by-step instructions on how to get more leads and more customers. This book is very powerful if you follow the action plan and implement it in your business. You’ll want to read the book at least three different times to digest all of the valuable information. What makes this book valuable is the action plan. This book will teach you how to get more appointments and make more sales. The book is designed to make you re-evaluate how you think about sales and marketing. He teaches you strategies, tips and techniques to get more customers than you know what to do with. My personal copy of this book has more than 300 passages underlined. A must read for anyone who needs more appointments. Read my review. This book is designed to make you think differently about your product, service and company. Rather than focus all your efforts on marketing, Seth reasons that it’s much wiser to simply make a product that people want to share with others, because it is such a great product. He talks about popular products like Apple, Starbucks and the iPhone, and shows that creating remarkable products and services is much more effective than creating a remarkable marketing plan. This is another great book, especially for someone who makes their own products. Read my review of the The Purple Cow. This might just be the oldest book on this list. But don’t let that fool you. Good marketing principles never change. This book gets inside the heads of some of the top marketers in their day and helps you create winning campaigns that make the cash register ring. This is the WHY of marketing. I’ve read this book at least 10 times now and I learn something new every time I re-read it. Every entrepreneur should own a copy of this book. Read my review of Scientific Advertising. This book is about how some ideas hit critical mass and spread like a wild-fire in a forest. It talks about how a small group of people can influence the rest of the world. If you have an idea, or a product that you want to turn into something hugely popular, I know you will enjoy this book. I think this book is the “funnest” book to read on this list. Once you get started, it’s hard to put down! We live in a crazy world where people like to “hide” in their own little world and not be bothered. This book teaches entrepreneurs how to get people to give you their PERMISSION to market to them, so you are an invited guest, not an unwelcome pest. It’s absolutely brilliant. I know, I know, you probably think this is a book about selling. I’ve read it countless times and I think it is more about how to do marketing the right way so selling is easy to do. This book is epic. Any book by Dan Kennedy is epic. This book taught me how to sell online and offline by using effective marketing. This is my marketing Bible. 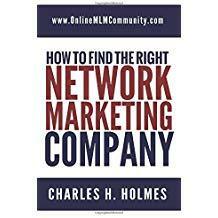 This book was voted best marketing book in 2014 by the New York Times. It’s premise is similar to that of The Tipping Point, also on this list. It has nothing to do with advertising. Instead, it talks about why some ideas catch on and why some people get so excited to talk about certain products. If you want to understand the “buyer side” of giving referrals and talking about products, this is the book for you. There are two authors on this list with more than one book on my list. Those two authors are Dan Kennedy and Seth Godin. If I was only going to study two marketing guys they would be the two that I study. They are so knowledgeable about what they do and they make marketing so easy to understand. Without a doubt, they are my favorite two marketers in the world. In summary, these are my top 10 must read marketing books for entrepreneurs and network marketers. I have personally read all of these books and really enjoyed them. If you are serious about the success of your small business, you should buy these books, re-read them once a year and keep them in your library. If you’ve read any of these ten marketing books, I would love to hear from you. Or, if you have a different marketing book that you recommend, I’d love to hear from you, too. Just leave a comment to share your thoughts. Have a great day! Next Next post: Product or Service Based MLM Company: Which One is Better? I am saving this list, and after I finish the current book I am reading, I will start getting these. I have been really wanting to read Guerilla Marketing and have not yet got around to it. I appreciate the book reviews you provide, because with all the various books on the market, it can be difficult deciding which ones to read and what to skip. I have also heard great things about The Purple Cow. I want to get a copy of it and read it too. Thanks again Chuck, and keep these reviews coming! These are all must read books.